99 North is committed to providing medicinal cannabis to patients who need a safe and friendly space to discuss their medicine. Research has shown that cannabis can alleviate symptoms for chronic pain and is a popular treatment for cancer. The 99 North team offers a wide range of healthy remedies for illnesses such as multiple sclerosis, spinal cord injury, HIV/AIDS, severe arthritis and much more. Located at 37768 2nd Ave in Squamish, BC. 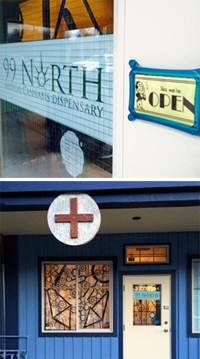 99 North Medical Cannabis Dispensary is working in the community to improve pain management and healthier lifestyles.